Syrian rebel forces have announced the launch of a counter attack against government forces and their allies in an attempt to break a siege in eastern Aleppo. 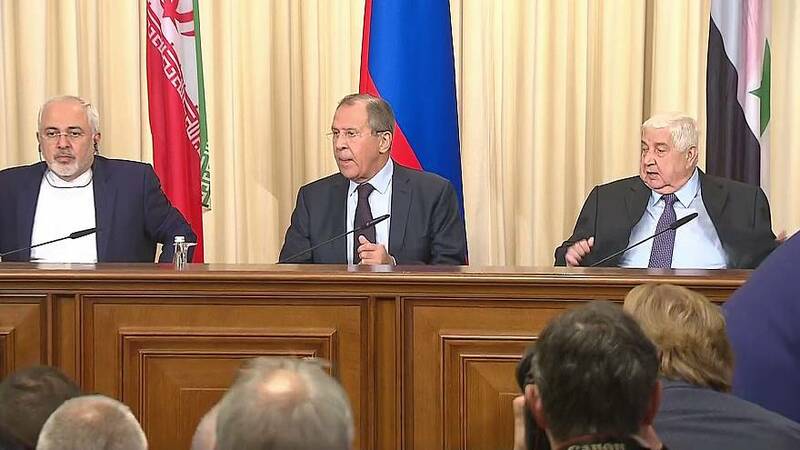 As they issued the statement, Syria’s foreign minister was in talks with his Russian and Iranian counterparts in Moscow to discuss the conflict in the region. All three back Syrian President Bashar al-Assad in the civil war. Host Sergei Lavrov once again denied Russian involvement in the deadly bombing of a school in Idlib and said sanctions were to blame for the problems civilians face. “President Putin has suggested that we start thinking about a Marshall Plan for the reconstruction of Syria. We think that terrorists are not the only ones responsible for the worsening of the socio-economic situation of the Syrian people but also the countries that are behind the illegal economic sanctions against Syria which strike first hand the civilian population,” he said. Syrian Foreign Minister Walid al-Muallem spoke of the fight to retake the Iraqi city of Mosul from ISIL militants and the possible consequences for neighbouring Syria. Iran’s Mohammad Javad Zarif insisted on the importance of intra-Syrian dialogue, but said that international political will is needed which, he added, is not there at the moment.